So much to do, so little time; some of us feel like this while others are just the opposite – with little purpose in life and thus feel like too much time on their hands. 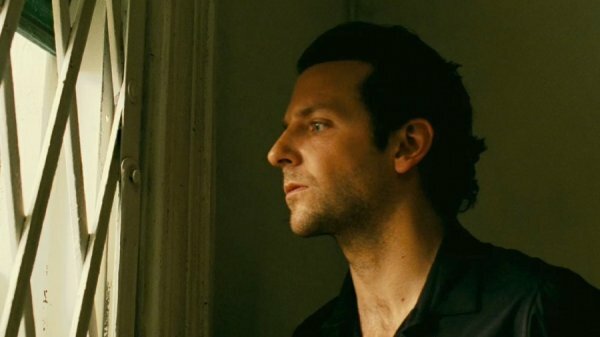 “Limitless” opened the window and let us peek out to the great wide open of possibilities and also see what could happen if one tries to fly too close to the sun. It’s a classic moral tale told through the lens of a very unique and innovative director, Neil Burger. Some of the imagery done here are downright trippy. But it styled the story so fittingly. 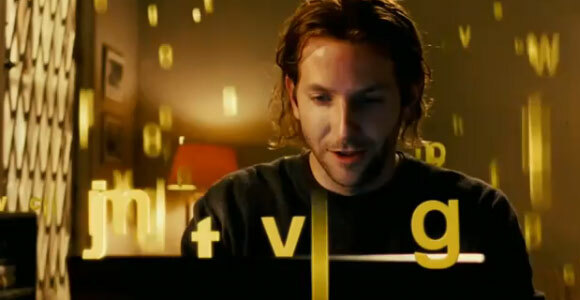 After all, it is a science fiction piece about a loser writer, Eddie Morra (Bradley Cooper), with a mental block that got handed a miraculous tip in the form of a little transparent pill, which can optimize a person’s brain function to 100%. But with great power comes greater threats, turbo-charging all the stakes to overload. 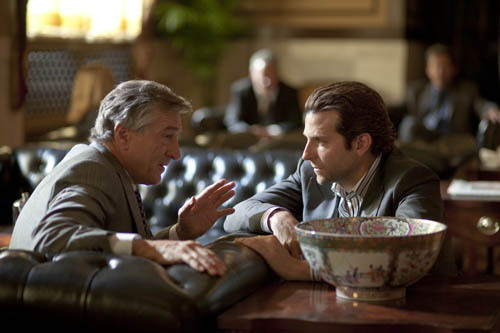 This film rides heavily on Bradley Cooper, his first-time lead role. 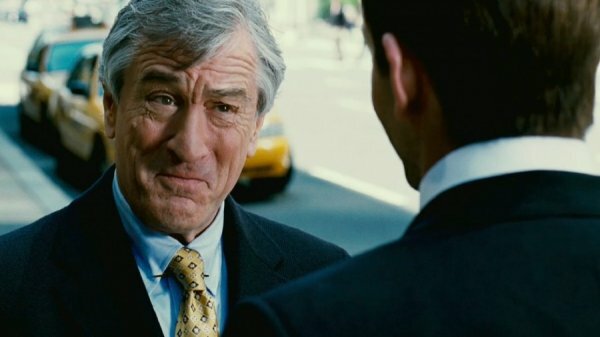 As an alumnus of The Actors Studio in New York (the Mecca for actors to be), he had all the training, intensity, and charm to silence any speculations over his ability to keep the audience in the seats and his supporting actor at bay – Robert De Niro, who plays Eddie’s boss, mentor and rival, Carl Van Loon. The pill clocks in at 30 seconds to take effect and lasts 24 hours. At which time, Eddie crawls out of his grimy world and into one that is saturated with clarity, edge, detail and speed. 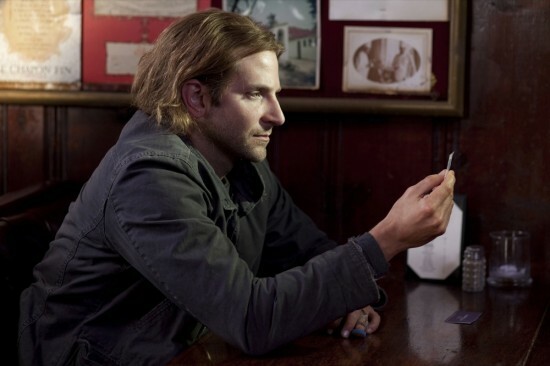 A drug addict with a larger-than-life dream, Cooper’s repeating transformation from the slummed-out slacker to the golden boy with the Billionaire Boys Club swagger is easily entertaining as is sympathetic. It’s this constant contrast between the light and shadows that draws you in. Along the way, other characters are seen leveraging from this pill, each giving a notable attempt at this transformation; to which, surprisingly, was Eddie’s loan shark, a Russian immigrant – played palatably satisfying, maybe even trumping Cooper, by Andrew Howard. 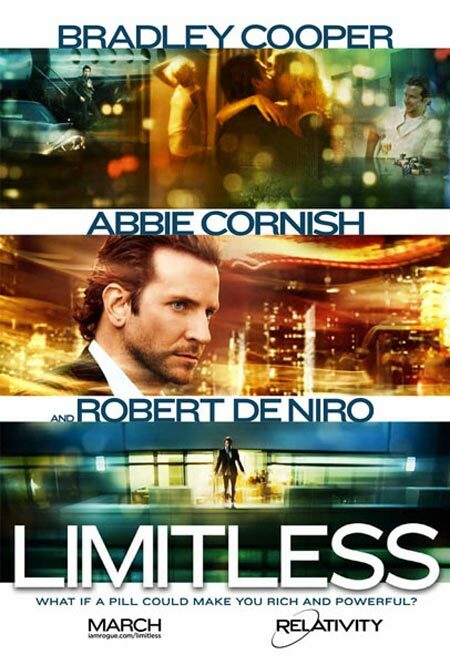 With a plot that keeps twisting but never sliding far from its own truth – although a couple of scenes could have propelled it to ace status – “Limitless” carries enough weight to fend off any lip-gnawing thriller and yet has the humor, light or dark, to find everyone able to enjoy it with a few snorts and slaps to the knee. At the end, it even leaves the story open for new chapters and us wanting more…as long as the writers don’t run out of their limit of magic little pills. This entry was posted on 2011/04/27 at 22:18 and is filed under TITLE L, US YEAR OF PRODUCTION 2011. You can follow any responses to this entry through the RSS 2.0 feed. You can leave a response, or trackback from your own site.